Finally! The UK has finally released an official government UFO dossier referred to as ‘Britain’s X-Files’. The Ministry of Defense—MoD—has released a batch of top secret UFO files that according to ufologists are evidence that we have been visited by aliens. Interestingly, only 15 out of 18 files were released, prompting many to suggest the MoD is still hiding the ultimate evidence of aliens. I mean who can blame them right? If you are going to release top-secret files, why hold on to three of them and release only fifteen? It’s only logical for people to think something is being covered up, right? Anyway, while the papers have been ‘released’, they have still not made their way to the internet. If anyone wants to take a peek at the top-secret files, they need to first make an APPOINTMENT with the Government Archive in London in order to do so. Also, you can order the copies of the documents for free online and wait a couple of days—or weeks—for them to arrive at your home address. Much easier than to just post them online, right?Nick Pope author, journalist and TV personality, who used to run the British Government’s UFO Project, and the man who was an employee at the British Government’s Ministry of Defence (MoD) from 1985 to 2006 had much to say about the declassified documents. “It seems that The National Archives has released 15 of the remaining 18 Ministry of Defence UFO files, marking the final stages of what’s been a nine-year long project to declassify and release the MoD’s entire archive of UFO files,” said Pope while discussing the newly released files. “Unlike all such previous releases of UFO files, I wasn’t pre-briefed on the release date. The release of these final files has been extensively delayed and at one stage they were sent from the MoD to the National Archives, but then sent back to the MoD. “Embarrassment about this delay may explain why – unlike releases of previous batches of MoD UFO files – there hasn’t been a proactive media release. Accordingly, I suspect the UFO and conspiracy theory community will say that these files have been “snuck out’. I think one has to pay for access, unlike previous batches, which were free for a month,” added Pope. 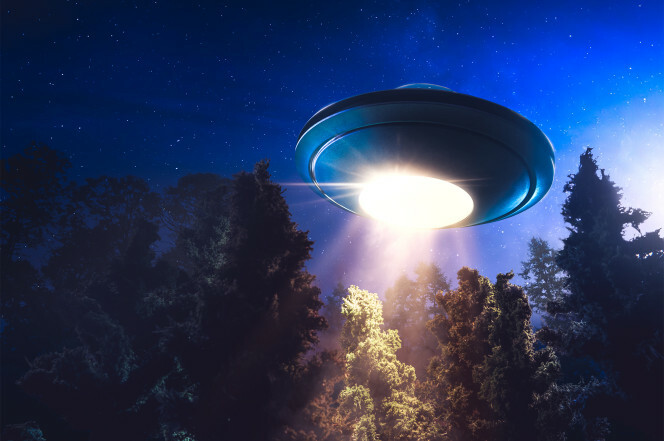 The newly released files could shed light on one of the most important UFO incidents in the history of the UK, the Rendlesham Forest incident. In 1980, three US officers based at RAF Bentwaters, near Woodbridge, Suffolk, claimed a “triangular shaped craft” landed in neighboring woods in the early hours of December 26. The UFO incident was investigated by the UK Ministry of Defence (MoD) which concluded that there was no evidence whatsoever of an alien visitation, nor was there evidence that a triangular-shaped craft had landed in the woods near Woodbridge, Suffolk, and that the lights seen by the three military officers were most likely the result of beams of light from a nearby lighthouse. Makes total sense right? Speaking about the incident Mr. Pope commented: “I believe there are some documents on the Rendlesham Forest incident, though I’m pretty sure they’re duplicates of material that’s been released previously. “The release of these real-life X-Files shows that the UFO mystery lives on and that there’s still huge interest in this fascinating topic. “These files will give people a revealing insight into this bizarre and intriguing aspect of Ministry of Defence business. “I think these files perfectly capture the wonder and fascination of the UFO mystery and show how MoD officials – myself included – struggled to make sense of one of the great mysteries of the modern era. “Sadly, there’s no ‘smoking gun’ in these files that will prove we’ve been visited by extraterrestrials, but there are plenty of intriguing UFO reports, as well as policy papers explaining how the MoD handled this subject. “The lack of a smoking gun and the fact that these files seem to have been slipped out without a formal media announcement is bound to start some conspiracy theories, and I know that many people believe the ‘good stuff’ is being held back. “Furthermore, the fact that some files haven’t been digitized, can’t be downloaded, and can only be viewed in person at the National Archives will doubtless also generate conspiracy theories. Interestingly, last year an American military officer who was involved in the Rendlesham Forest incident won a legal bid to force military health chiefs to pay for the treatment of injuries he claimed to have sustained at Rendlesham Forest. “In citing the [MoD radiation documents] and in granting John Burroughs full disability for his injuries in Rendlesham Forest, the US Government has by de facto acknowledged the existence of unidentified aerial phenomena which, in John Burroughs’ case, resulted in physical injury,” his lawyer Pat Frascogna said. Despite all of this, and despite the fact that countless documents have already been declassified, the Rendlesham Forest incident remains unexplained.